Available in a number of different styles such as the Three-point Mounted Turntable Wrapper, Turntable round bale wrapper for bales up to 1200kg and the Heavy Duty Trailed Turntable Wrapper option. 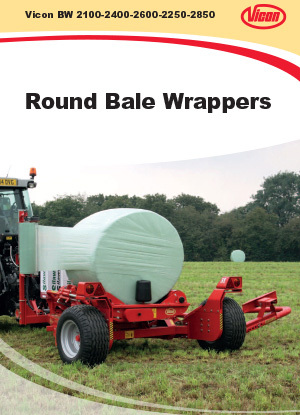 There are options to suit anyone from a small agricultural holding to a busy contract baling operation. Which model you choose you can be sure it has been built with the following principles in mind; easy to operate, fast wrapping time, low profile designs and premium build quality. 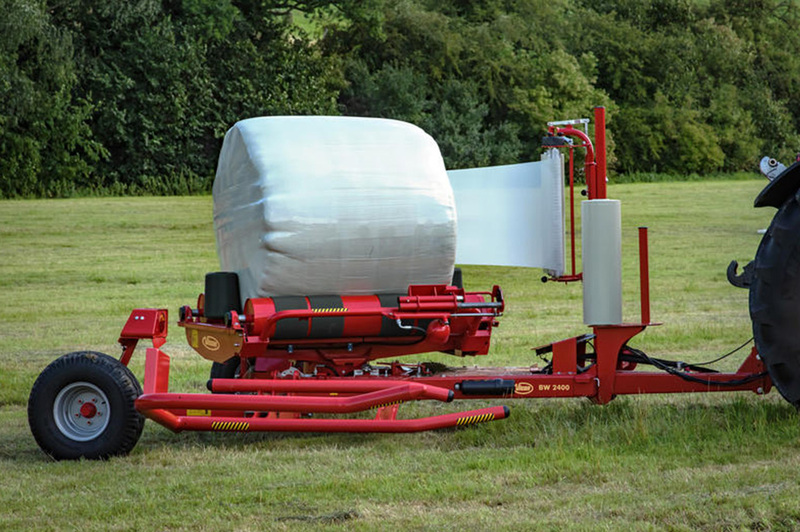 The FastBale is a revolutionary non-stop round baler wrapper combination that cleverly integrates a pre-chamber with a main chamber and a wrapper. Machine layout is truly innovative with two chambers arranged in series, allowing a number of rollers to be shared. Operating as a pre-chamber, the first section of FastBale produces two-thirds of the bale. As the pre-chamber reaches its preset density, crop flow is diverted into the main bale chamber allowing baling to continue. FastBale represents two world firsts: it is currently the World’s only non-stop fixed chamber baler and secondly, it is the World’s only non-stop fixed chamber baler wrapper combination. 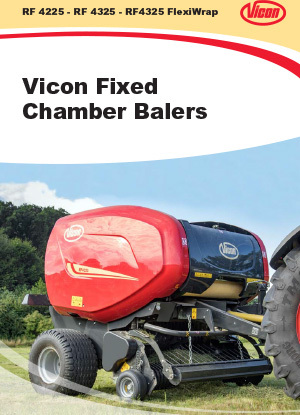 The Vicon RF 4325 full roller fixed chamber baler is designed for intensive professional use through long working days where high efficiency is required. 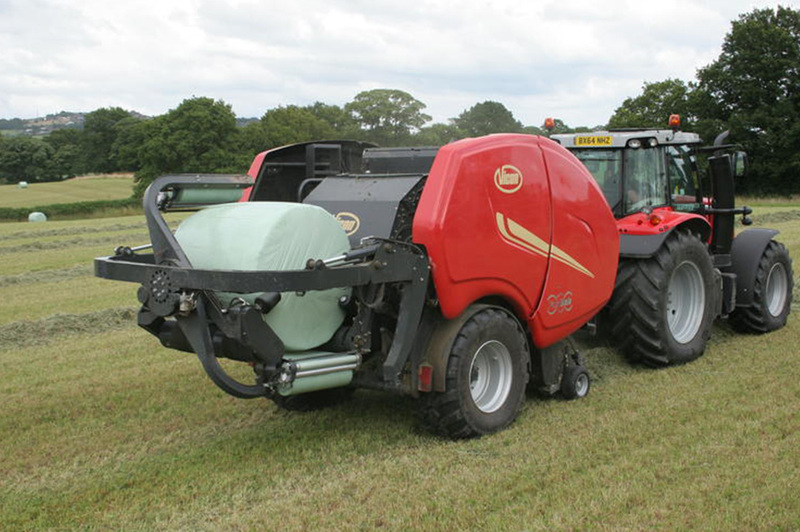 The RF 4325 is developed to perform well in heavy silage conditions. The bale chamber design with 17 ribbed rollers ensures consistently high density bale formation in all conditions. The RV 5216 and RV 5220 feature the patented PowerBind net and twine wrapping and Intelligent Density 3D software package for easy selection of bale density. 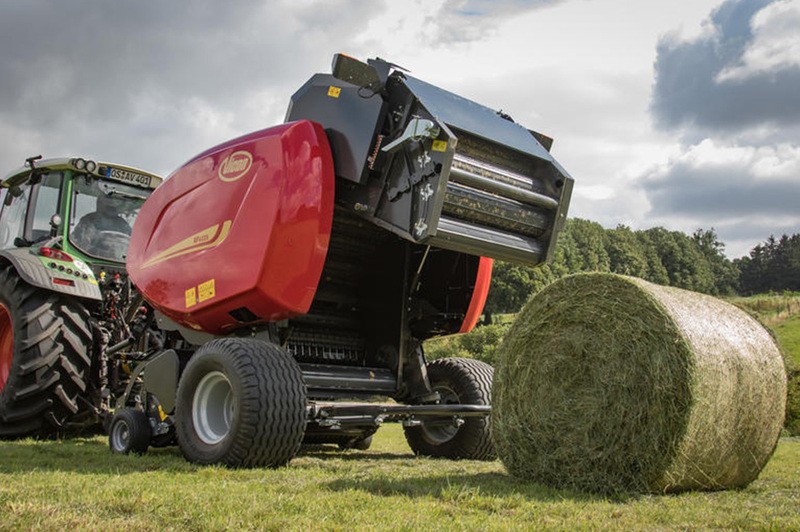 Both models offer truly intelligent baling with a clean raking 2.2m 5 tine bar pick-up, choice of intake system, programmable ’multi chamber’ bale density system and user friendly ISOBUS compatible controls. 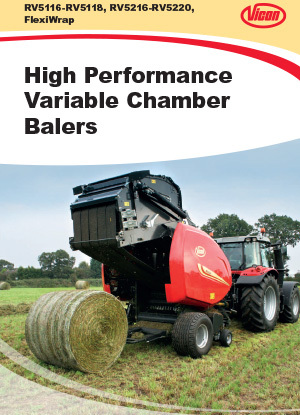 The two versions offer bale diameters from 0.60m up to 1.65m and 2.00m respectively. 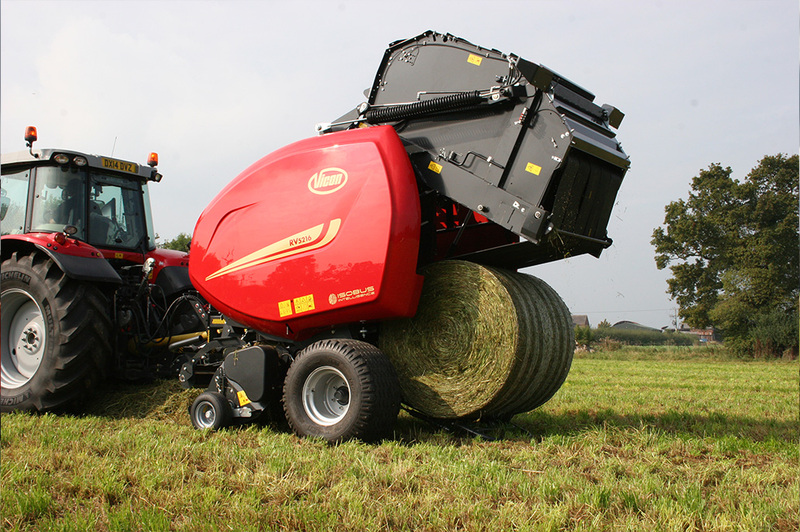 The bale diameter is easily adjusted through the control terminal.